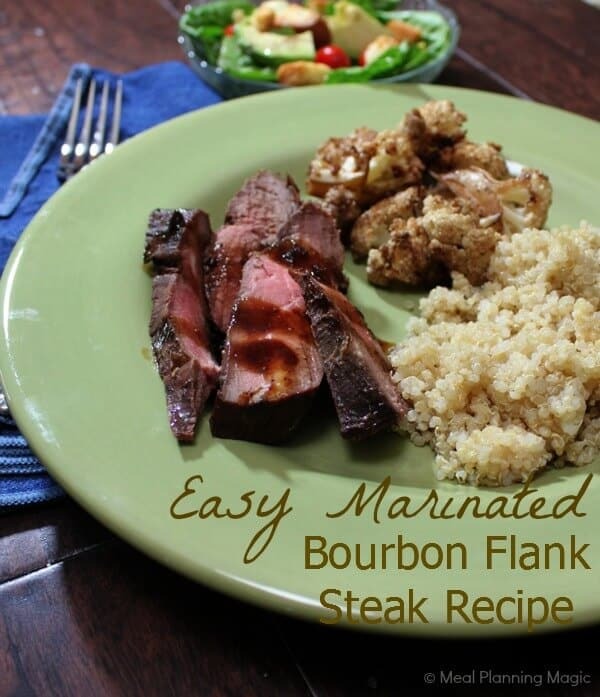 Easy Marinated Bourbon Flank Steak Recipe--Freezer Friendly! I can’t believe we’re already to the fourth and final week where I’ve been blogging for the Texas Beef Council and trying new recipes to share with you all. I’m still kind of craving that Beef, Arugula and Spinach Lasagna. Good thing I put some of it in the freezer for later. Now on to this week’s post—which is a recipe from my OWN kitchen—Bourbon Flank Steak! I first had this dish several years ago after going to one those meal prep places that has all the ingredients laid out for you and you just measure, assemble, label and freeze. It has been a family favorite ever since then and one I serve to company often as well. 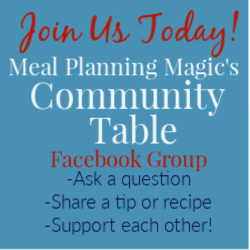 I love that it is make ahead—I even gave some step-by-step instructions on how I make it ahead for my freezer meal exchange group a few months ago. It really is SO easy and delicious. Paired with a garden salad and whole grain side (I made quinoa this time—one of our new favorites! ), it is a perfectly lean, nutritious meal your whole family can enjoy-even my kids love it! I hope you’ll give it a try! Combine all ingredients in a gallon size ziptop bag. Add steak and marinate about one hour. 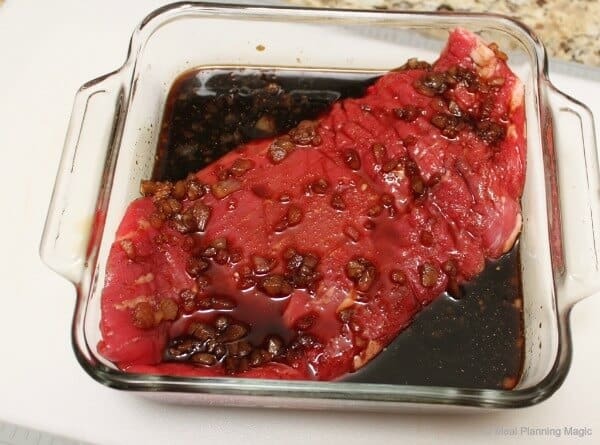 Remove steak from bag and reserve marinade. Grill over medium heat for about 20-30 minutes, flipping sides occasionally until you achieve desired doneness..
For dipping sauce, add reserved marinade to small saucepan. 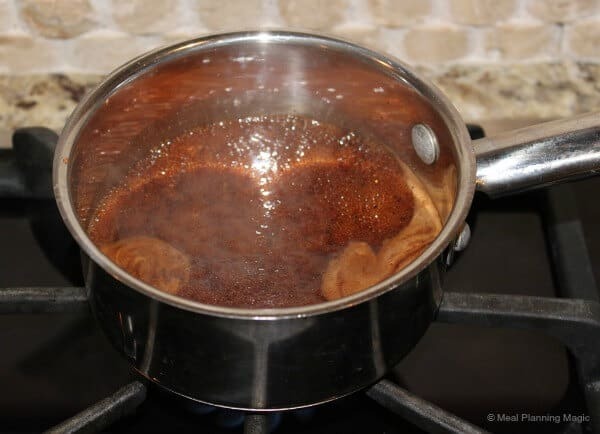 Bring to boiling and simmer for about 10 minutes so that juices are cooked. Serve over cooked flank steak. 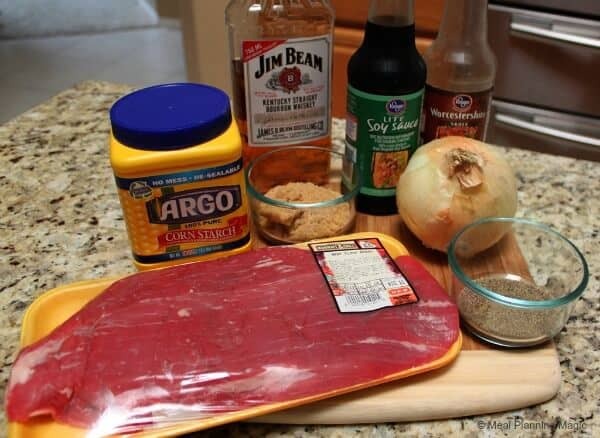 FREEZING INSTRUCTIONS: If you are freezing first, label bag, then add marinade ingredients and steak. Close bag and put in the freezer. To prepare, thaw and cook as directed above. Gather all the ingredients–just a few simple ones. I choose low-sodium soy sauce and use the cheapest Bourbon I can find. The liquor store guy always tries to talk me into something fancier but I resist! 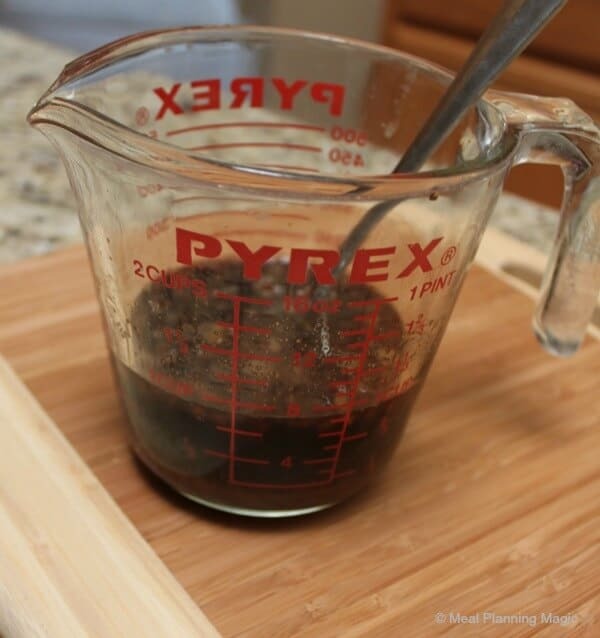 I measure and mix everything for the marinade in a measuring cup–easy! When I’m not going to freeze the marinating meat, I just combine everything in a glass baking dish and cover before putting into the refrigerator for 30 minutes to a few hours. I put the leftover marinade in a pan and heat to boiling for a few minutes. Then cool and serve as a sauce on the side. I’ve really enjoyed blogging with the nine other bloggers for the Texas Beef Council and hope you’ve enjoyed discovering that lean beef can be a part of a healthy diet for the whole family. Eating together has many benefits—read on for some tips to make it a success in your home too! 1. Enjoy one more family mealtime every week! Take a quick inventory of how many times you usually eat together as a family and look for easy ways to add one more family meal to your weekly schedule. If evenings are too hectic for a family dinner, set aside time for a weekend breakfast or lunch. After a month or two of this new pattern, you can then add another family meal each week until you are enjoying mealtime together most days of the week. 2. Enjoy tasty menus for family meals! If you think putting a meal together had to be complicated or time-consuming, think again! The best meals are simple, delicious and planned together. Let everyone choose a favorite menu. Even small children can pick a main dish (like tacos or pasta), a vegetable (green salad or cooked carrots), and fruit for dessert (sliced apples or a fruit salad). 3. Set an appealing table for family meals! Food is just one important part of mealtime. There are really easy ways to set the mood for a relaxed time around the table. A little extra attention to the actual table setting can add a lot to mealtime atmosphere. Go for a theme night like taco salad and Mexican fiesta décor using leftover souvenirs from your trip to Cancun or have one of the children make a centerpiece by folding colored construction paper. 4. Enjoy conversation at the table! The conversations families have while eating together offer many benefits. Children learn new words from adults and adults are able to share the values with the next generation. Choose topics that are positive and allow everyone to talk. Even toddlers like to discuss topics like “what is your favorite color” or “what made you laugh today”. 5. Enjoy distraction-free meals TVs, DVDs, multiple phone calls and text messaging can distract anyone making it difficult to eat or carry on a conversation. The solution is simple: Declare mealtime an electronics-free zone (except for an emergency, of course). Imagine that you are dining at a nice restaurant and play some soothing background music at low volume. It will be much more relaxing for everyone to be unplugged, especially you! This is the final week of a four week campaign where I’m cooking up new recipes from the Texas Beef Council with nine other bloggers. Disclosure: I am participating in a four week campaign with the Texas Beef Council and am being compensated. All opinions are my own. Hi Susan! I find that the bourbon does not have the same taste in cooked foods as wine so you may give it a try. I usually just buy the cheap stuff. But a quick online search suggests you can use about 2 tsp. of vanilla extra equal parts of sparkling grape juice. I may have to give those a try just to see how they compare! Good luck!